Want to play the best sport in the world? 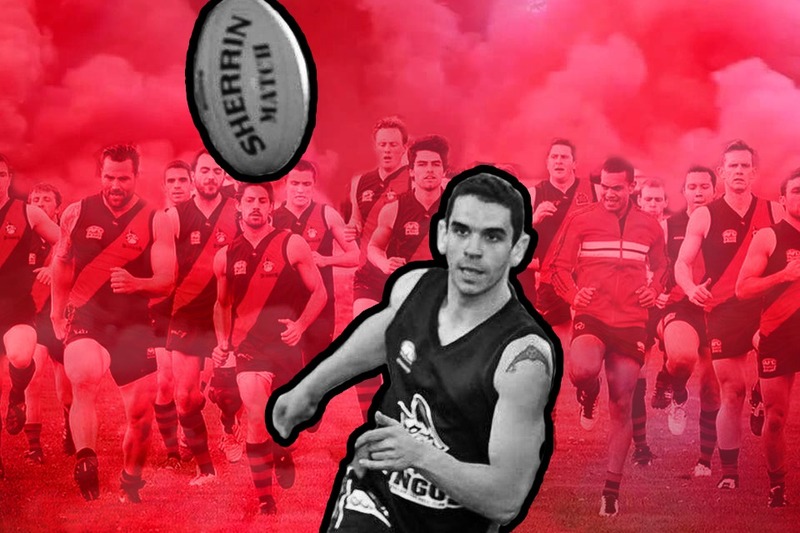 Learn the fast paced sport of Australian rules football with the Toronto Dingos AFL Football Club. No previous experience necessary! Come on down to join us for a kick if you are interested in learning a new sport while getting in shape and meeting new people. This will be a free session (no admission charge) in the dome at Polson Pier (176 Cherry St, Toronto, ON M5A 3L1). Wear clothing you feel comfortable running/jumping in (e.g. sports shorts/shirt) and sneakers (cleats optional). Later in the evening we will head to sponsor The Office Pub on John St. for some light refreshments and team bonding. The Dingos are an all male Australian Rules Football club playing in the AFL Ontario competition in its various incarnations since 1996. For more information about the club and its history head to http://torontodingos.ca/. The Dingos are proudly sponsored by Scallywags Bar (http://scallywags.net/) in midtown, The Office Pub on John St. (http://john-street.theofficepub.ca/) downtown, and Downunder Travel (http://www.downunder-travel.com/) for all your travel needs.